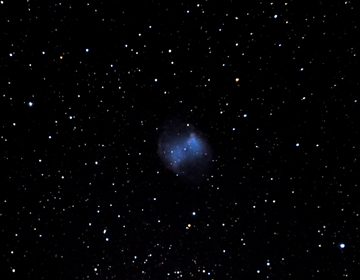 August 14, 2009 Imaged M13, M27 and M57 with the Nikon D90 and 8" f/5 Celestron telescope. Mostly tried to focus the camera which proved to be somewhat difficult because of my close in vision. Next time I will feed the video signal into a laptop for a larger view. The camera is very efficient and easy to use. I am waiting for a coma corrector to arrive. These images are cropped due to the coma. August 13, 2009 Cygnus imaged using a Nikon D90 set to 18mm f/3.5, ISO 1000, 15 second images using a tracking mount. 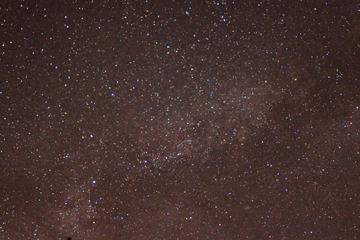 This image is comprised of three 15 second images and is the first use of this camera on the night sky.